BANGKOK, September 25th, 2018 – IDC announced today the Thailand winners of the second IDC Digital Transformation Awards (DXa) at the IDC DX Awards 2018 Thailand held in Westin Grande Sukhumvit Hotel and named Mitr Phol Group the 2018 “Digital Transformer of the Year”. IDC DXa recognizes organizations that have significantly disrupted the market or have transformed it, using digital and disruptive technologies. Other winners include with SCB Abacus Company Limited, CIMB Thai, Bank of Ayudhya, AIS and Ananda Development PCL also recognized as the winners for Digital Disruptor, Omni Experience Innovator, Information Visionary, Talent Accelerator and Operating Model Master respectively. All winners distinguished themselves for their discernible and measurable excellence in their digital transformation (DX) efforts across the five DX masteries and significant efforts to transform or disrupt the market. “With the change in business environment caused by disruptive innovations, we see more local enterprises that are aggressively embarking into DX to adapt themselves to become more competitive and agile. Digital technologies continue to play a bigger role in the economy and local enterprises transforming digitally is crucial in driving the country’s overall digital economy growth. Therefore, we believe that this is the right time to recognize the best DX projects in Thailand especially with the government’s Thailand 4.0 movement which aims to shift the country from a manufacturing-based economy to a services-driven digital economy,” said Sudev Bangah, Managing Director IDC ASEAN. • Mitr Phol Group’s Business Revamping Through Digital Transformation named as Digital Transformer of the Year: To become a world-class sugar and bio-energy leader, the Mitr Phol Group began its digital transformation journey in September 2015 by combining its fully integrated agriculture business model with digital technologies. In line with Thailand's 4.0 initiative, the Mitr Phol Group defined a World-Class Organization policy to guide the organization in achieving business transformation in a digital world, which includes the right talent management and technology implementation strategies. Through design thinking, the Mitr Phol Group developed a framework to redefine its business processes. Digital technologies such as mobile devices, cloud, big data analytics, automation, and IoT sensors have been introduced in three main areas: supply chain management, plant maintenance, and inventory management, covering 33 plants across 18 companies within the Mitr Phol Group. Through digital transformation, the Mitr Phol Group has achieved THB 12 million in inventory cost savings, a system changing-over cost reduction of 84%, and increased customer satisfaction of 90%. • E-Marketplace Digital Lending Platform of SCB Abacus Company Limited named as Digital Disruptor of the Year: SCB Abacus' E-Marketplace Digital Lending Platform was designed for Thailand's small businesses, which comprise majority of the country's economy. To support the growth of small business owners in a sustainable fashion while managing the bank's risk, SCB Abacus uses AI-powered algorithms to build a new risk model. Alternative data such as store ratings and shipment patterns automatically pulled from digital e-marketplace partners via an open API enables SCB Abacus to personalize loan products in terms of pricing, tenor, and repayment schedules to match the needs of individual customers. This platform eliminates human intervention – with automation, the standard loan process is reduced from 3 days to 10 minutes. To offer further convenience to customers, SCB Abacus has integrated the platform into the core banking system, allowing instant disbursement of approved loans into customer accounts. • CIMB Thai’s XLR8 Digital Transformation for Unsecured Loan Process named as Omni-Experience Innovator of the Year: CIMB Thai's XLR8 Digital Transformation project provides customers a tool to digitally interact with the bank. CIMB Thai customers may apply for loans and debit cards through CIMB Thai's Digital Sales Enablement (DSE) system, which is available on multiple devices such desktops, smartphones, and tablets, as well as CIMB kiosks. With the Digital Sales Enablement system, customers may apply for their loans and debit cards at one channel and fulfill it from another. Each application is submitted to the bank's underwriter team; after customer information and documents are verified, customers can get approval in just 15 minutes with loans disbursed into their accounts instantly, drastically improving the traditional process of 3 to 7 days. • Insight Discovery through Customer Online Behaviors/Digital Footprints of Bank of Ayudhya (Krungsri Bank) named as Information Visionary of the Year: With the Insight Discovery through Customer Digital Footprints project, Krungsri has successfully applied its customers' existing internal data with their online social behavioral data to understand their preferences, personalities, interests, and even personal milestones. Using big data analytics and machine learning, Krungsri has developed a platform that extracts customer insights, which are then incorporated into Krungsri's everyday business decisions that enable tailored product offerings, personalized customer relationship management, and targeted marketing campaigns and communication strategies. Since June 2017, Krungsri has analyzed the digital footprints of customers and generated incremental net income through highly customized products and services. • Data-Driven Organization Transformation Project of AIS named as Talent Accelerator of the Year: With its goal to become a data-driven organization within a year, AIS established its Analytics Center of Excellence (COE), collaborating with technology partners and universities to develop an intensive training program to groom data engineers, data analysts, and data scientists for employees at the AIS headquarters and its regional offices. 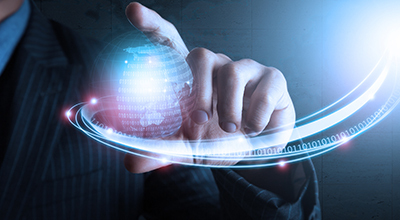 Traditional BI tools were replaced by modern analytics software, while the adoption of big data analytics and machine learning was accelerated through workshops and boot camps, which tackled real-life business cases including mobile and fixed broadband churn prediction, upselling and cross-selling different products, and customer acquisition. AIS now has data scientist teams supporting the core business with advanced machine learning and big data analytics, with an initial 50 users of analytics tools to over 1,000 AIS staff across the company, making the technologies essential in the growth of the AIS business. • Ananda Transfer Application of Ananda Development PCL named as Operating Model Master of the Year: Ananda Development PCL seeing the rich opportunities presented in cloud technologies, and digital business models, embarked to transform its transfer and inspection process through the development of the Ananda Transfer Application (ATA). Championed by the Innovation and the Project Management team, ATA leverages on exponential technologies such as machine learning through Speech-to-Text and image recognition capabilities, as well as deep human centred design framework, to build an application that the users love. The application acts as a centralised platform to address information asymmetry offering single source of truth to all stakeholders. In doing so, operational efficiency is achieved through reduced turn-around time for inspection and repairs. Customers also benefited from more transparent and professional report generated automatically by ATA. Within just 3 months of implementation, Ananda had saved about 130 hours of inspection time and about 4 million Thai baht (approximately US$120,000) in manpower costs. IDC’s DX Awards follows a two-phased approach to determine the country and regional winners. Each nomination is evaluated by a local and regional IDC analyst against a standard assessment framework based on IDC’s DX taxonomy. All country winners will qualify for the regional competition, which will be decided by a regional panel of judges comprised of IDC Worldwide analysts, industry thought leaders, and academia. Winners from all around Asia Pacific will join the Singapore winners at IDC's DX Summit and Digital Transformation Awards (DXa) Gala Night, where the regional winners will be announced for the categories of Digital Transformer of the Year; Digital Disruptor of the Year; DX Leader, Omni-experience Innovator, Talent Accelerator, Information Visionary, and Operating Model Master. The regional awarding ceremony will happen on the 25th October 2018 at JW Marriott Singapore. For more information on the awards and judging criteria, please visit the IDC DX Awards website HERE . 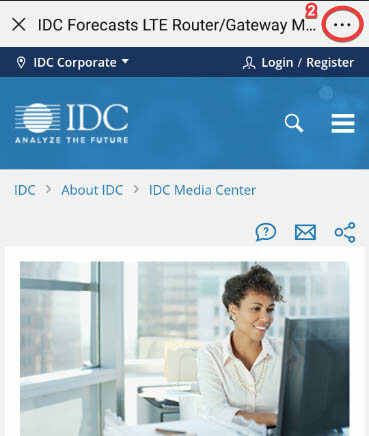 IDC is the premier global provider of market intelligence, advisory services, and events for the information technology, telecommunications, and consumer technology markets. IDC helps IT professionals, business executives, and the investment community make fact-based decisions on technology purchases and business strategy. More than 1,100 IDC analysts provide global, regional, and local expertise on technology and industry opportunities and trends in over 110 countries. For more than 50 years, IDC has provided strategic insights to help our clients achieve their key business objectives. IDC is a subsidiary of IDG, the world's leading technology media, research, and events company. 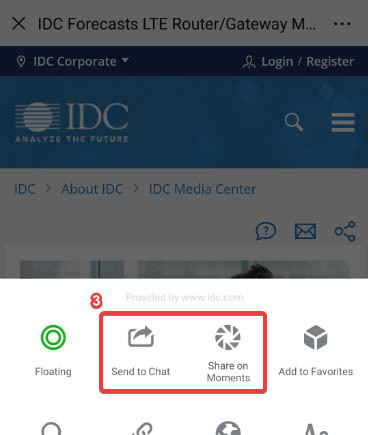 You can learn more about IDC by visiting www.idc.com.